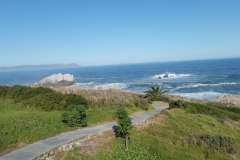 The quaint town of Hermanus is nestled between the dramatic Kleinrivier Mountain Range and the restless Atlantic Ocean. Hermanus is undoubtedly one of South Africa’s favourite seaside destinations. 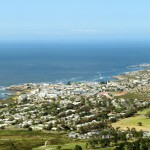 Hermanus boasts a wide range of activities, services, shops, restaurants and nightlife. We would be happy to discuss your plans or make reservations and bookings for your stay. Relax, let us do the work! Known as the heart of the whale coast, this coastal town offers the best land based whale watching in the world. 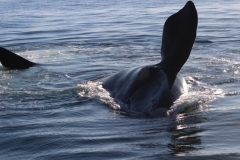 The Southern Right Whales are magnificent mammals to behold and come here from Antarctica to calve and visitors are often treated to close up displays as the whales come to within 10 meters of the coast. 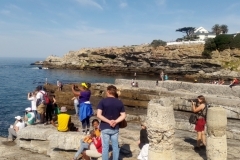 The well-maintained cliff paths throughout Hermanus offer great views of Walker Bay and the ability to watch the whales from dry land. There can be no greater experience than to meet these animals in their own environment. Cruise aboard a custom-built whale-watching vessel that is designed to carry up to forty guests, but is limited to thirty guests, ensuring viewing space for all. Success rates of spotting the whales are high and you are guaranteed to see whales on every trip from August to mid-November. 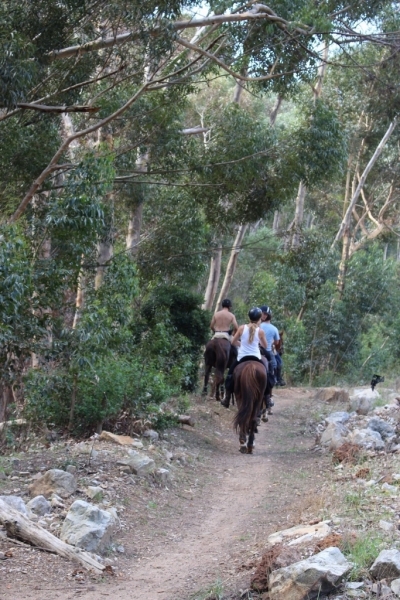 Ride along the pristine 18 kilometer stretch of Grotto Beach and onto Die Plaat. 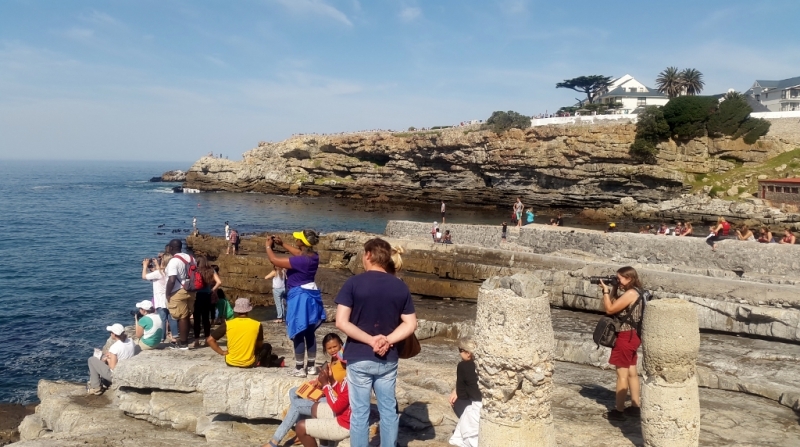 This exciting trail has a variety of bird life including the endangered Oystercatcher, tiny Strandloper, Flamingos, gulls and even hunting Falcons, Cape Fur Seals sunning themselves are also a regular sight. 1 and 2 hour rides. 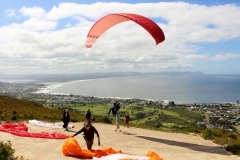 Stunning views of the town and coast below with the occasional whale visible in Walker Bay make Hermanus one of the most popular gliding destinations in the Cape Peninsula. 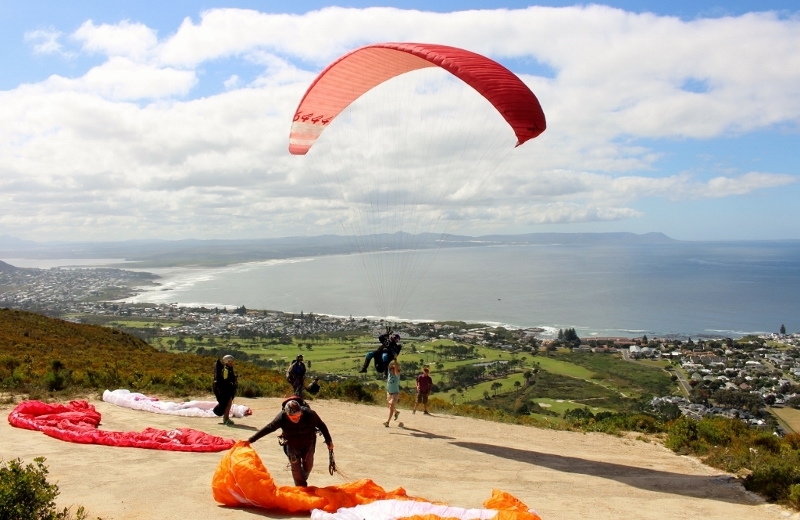 Tandem Paragliding in Hermanus is an experience of freedom and exhilaration in one of the most beautiful places in the world. Tandem riders fly with a certified paragliding instructor or an assistant instructor: no prior experience or knowledge necessary. 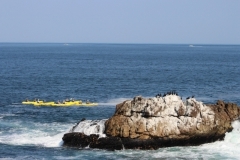 Explore the magic of our unique coastline and the Walker Bay Whale Sanctuary up close and personal in one of their stable kayaks accompanied by an experienced guide. Learn more about the ocean, penguins, the Cape Fur Seals, whales, dolphins and all the other ocean inhabitants in Walker Bay. 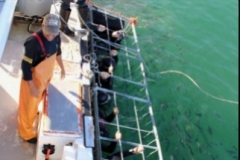 Kleinbaai and surrounds is a favourite hunting ground of the Great White Shark. Dyer Island and Geyser Rock and is protected from the worst of the southern Atlantic’s weather and it is here where you will enter the water with the Great White. It’s nerve-wracking and adrenaline pumping exprience, eye opening and extreme. (SCUBA diving qualifications or experience are unnecessary). 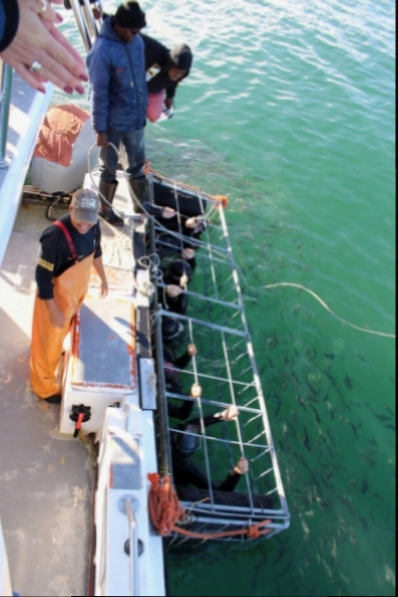 Enjoy a less intense 1 ½ hour boat trip to the world famous Shark Alley between Dyer and Geyser Rock Islands to see the Cape Fur Seal colony and a tour around the Great White Shark boats in hopes of seeing the sharks. Spotting Great White Sharks, Dolphins, Southern Right Whales (in season) and Sunfish is common. 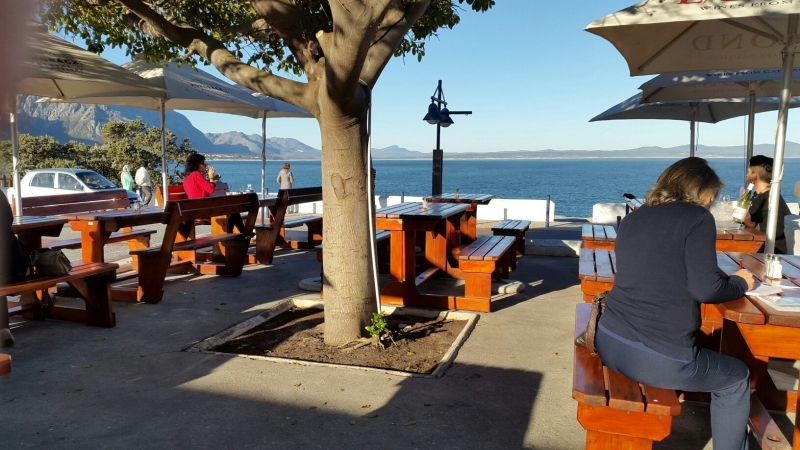 Hermanus boosts many outstanding restaurants, from small coffee shops to fine dining, one is guaranteed a meal to suit all tastes and budgets. Seafood is a specialty at most Hermanus restaurants with the fish often caught locally, be sure to ask what the “Catch of the Day” is. 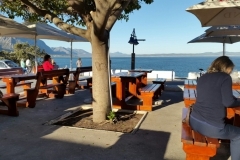 Many Hermanus restaurants have outdoor seating and sea views. Reservations and recommendations can easily be made for you. 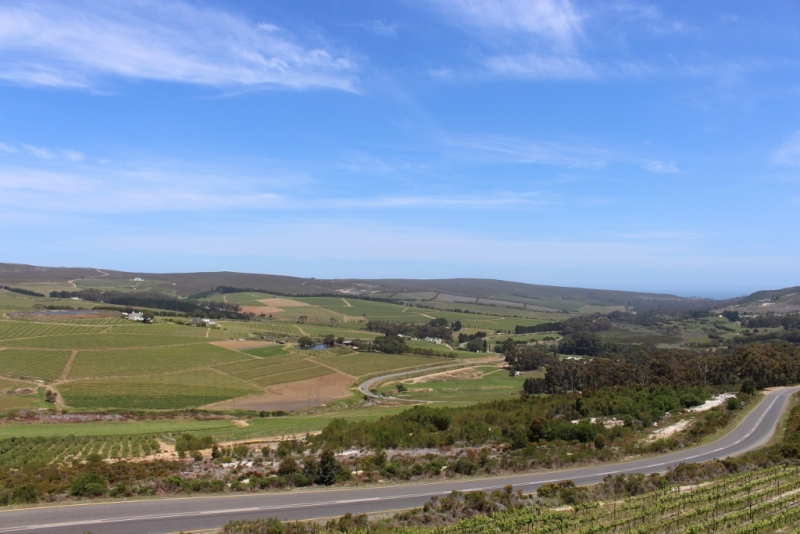 Hemel en Aarde Valley – just west of town is a wine lover’s paradise with wine farms offering wine tasting, fine dining and spectacular views. 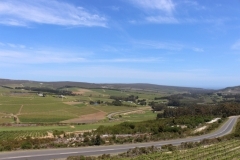 The majority of the Wine Farms are open daily for wine tastings so be sure to call ahead to avoid disappointment. 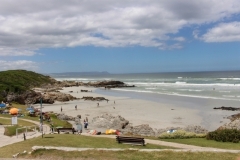 Great sandy beaches line the coast of Hermanus making it a prime spot for swimming and sunbathing. Choose from a selection of lovely Blue Flag beaches, unpolluted seas and two lagoons that also offer great boating, surfing and fun beach activities. 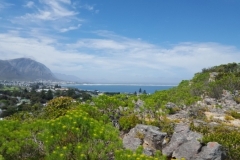 Without a doubt, one of the main attributes of Hermanus is its natural surrounds. Meander along the beautiful walks in and around the village along 16 kms of cliff paths or in the surrounding mountain ranges which are all declared nature reserves. 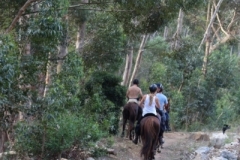 Fernkloof Nature Reserve lies on the northern side of the town with a 60 km network of marked trails. A display of some of the fynbos and flowers that can be found in the veld is permanently maintained at the Fernkloof Visitors’ Centre, situated at the entrance. 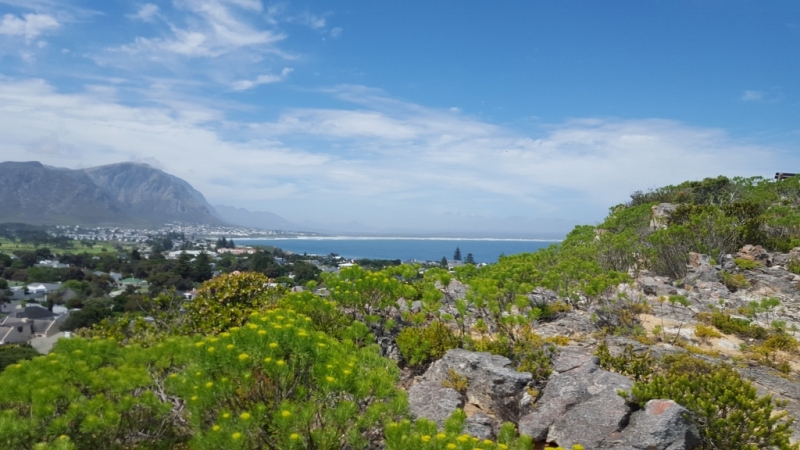 The various trails offer magnificent views of Walker Bay, the Hemel en Aarde Valley and Maanskynbaai Mountain. 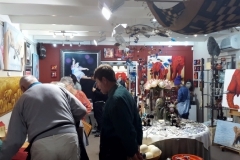 Shopping in Hermanus is a delight, besides modern supermarkets, you will find many interesting boutiques, unique book stores and shops to be discovered in pretty arcades and lanes. There are numerous art and craft studios and galleries throughout town, often managed by the artists themselves. 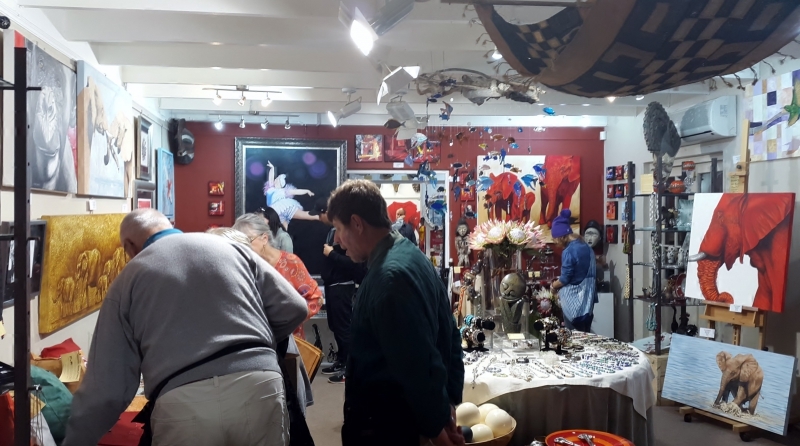 The Saturday Country Market situated behind the Hermanus Cricket Fields is famous for its local hand crafted goodies and gifts, delicious freshly made food, live music, world class wines and fantastic craft beers.